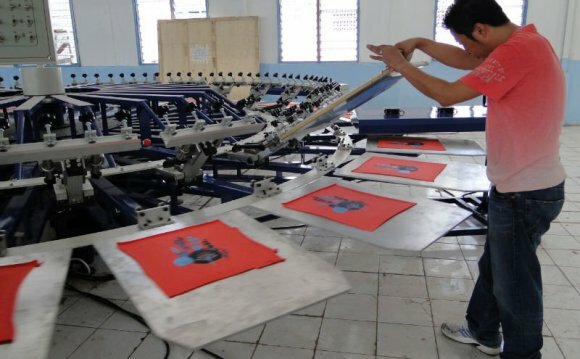 Is your screen printing shop struggling to meet tight deadlines? Is your manual press keeping you from taking bigger, more complex jobs? If so, it might be time to upgrade to an automatic t-shirt screen printing machine. With a single operator, an automatic press runs at least 3-5 times faster than a manual press, allowing you to tackle larger production runs with more colors. And with automatic presses available with compact footprints, you should be able to find one that fits your existing work space - no need to restructure, no need to move! Are you getting the most out of your manual press? If your technique is perfect and you're still struggling to meet demand, an automatic can help. Can your dryer match increased production? You can only print as fast as you can dry! Consider expenses beyond the printer's price tag - crating, installation and upgraded or additional supporting equipment (new dryer, air compressor, chiller, etc.) add up. Can your shop handle the space and electrical requirements of an automatic press and other necessary equipment? If you decide to go automatic, keep your manual press handy or make other arrangements to keep your work flow going. Getting a new press delivered, installed and running can be a long process - you don't want to lose jobs because you sold your old equipment before the new press was ready! How will an automatic press affect your personnel? Will you need more employees to meet increased production? Or less because of the automated process? And the operators need to be trained!